Update (30 Oct, 2018): a few days after writing this post, I've already built a good understanding of Vue and its ecosystem. Thanks to everyone who shared useful resources about Vue; it helped me a ton! I've worked on a couple of web projects in the past year or so. I now feel at ease and productive with a few select technologies. In the realm of frontend development, that means Angular. And to be honest, it feels great. Yet, I find that I've begun resting on my laurels, and boredom even began to take the upper hand. As a result, I started learning Vue. 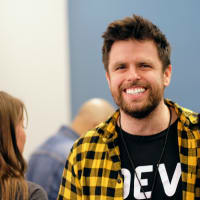 In this short post, I'll expose my state of mind, the difficulties I am currently encountering and what I do to cope with them in the process of learning Vue after a year of working with Angular. I've worked with Angular quite extensively lately. Angular is the first modern web framework I've learnt, and I've built at least three or four different apps of various sizes. I also learnt a ton about modern concepts such as Progressive Web Apps and Server Side Rendering along the way. But there's a catch. Every time I am given the opportunity to choose a frontend framework for a new project, I go for Angular. Why? Simply put, because it's the only one I know and I feel comfortable with. Yet, immediately after taking the decision, a little voice sneaks into my head, and it whispers: "Angular, again? Meh…". Don't get me wrong — it does feel rewarding to have become knowledgeable enough at a technology that I can build a whole system without barely looking at the documentation. I feel proud. There's also no need per se to be knowledgeable at every frontend framework out there — there are way too many of them, plus specialising also has its advantages. Where is the challenge? Where is the difficulty? What is there left to learn? You see, I do love learning new things. I don't particularly enjoy feeling like a beginner — that's rather uncomfortable — but I always dig the outcome: I can do things I couldn't do before, and it's thrilling. That's what motivated me to try something else. Also, some circumstances have helped. I boarded on a major school project a few weeks ago. We had the possibility to choose between Angular and Vue. 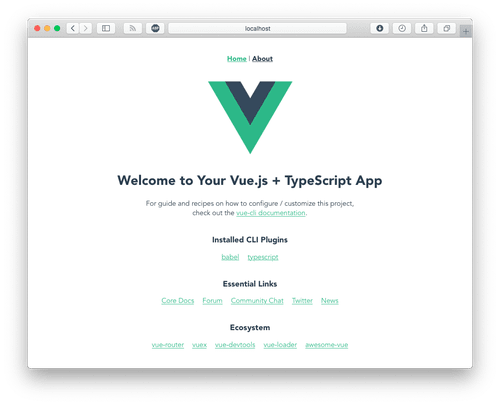 I didn't know much about Vue — only a few things I've read here and there, and perhaps a toy project from a year ago. Going for Angular would have been so much easier because I've built up a lot of experience and know-how. But guess what? We went for Vue. Sometimes, leaving your comfort zone is as simple as asking: "why not?". I dived in just today, and let me tell you — I'm excited, but it feels very uncomfortable right now. Actually, I feel frustrated. I have to re-learn everything. Why does it all look so similar, yet so different? I felt like I was a master, but I am now a total n00b. Duh. So, in this new and unknown ecosystem, I need a survival strategy not to drown under the seemingly huge amount of new things to learn. Both Angular and Vue are component-driven — great! Both have a templating system based on directives — sweet! Both have bidirectional data binding through inputs (@Input() vs @Prop()) and outputs/events (@Output() vs. $emit()) — nice! The template syntax is quite similar: *ngFor becomes v-for, [foo]="bar" becomes :foo="bar", etc — stellar! 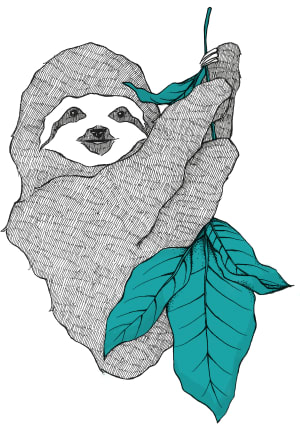 Both have extensive and precise documentation, and a vibrant community — brilliant! I've been digging Angular Material, and there seems to be even more Vue component frameworks out there, like Vuetify — amazing! At least, this is not a cold start. There are indeed a lot of aspects I can relate to and compare. Phew! Me generating a project using Vue CLI: "TypeScript! There you are!" Vue focuses on the view layer, while Angular comes batteries included: where are my beloved Router and HttpClient?! Vue doesn't have modules, and instead it has some other concepts such as mixins, filters and transitions. There is no concept of services — how am I supposed to abstract logic from components? Is that even a thing in the Vue philosophy? If there are no services, then what about state management? Am I forced to resort to Redux/Flux/similar even for smaller apps? Where are my Observables? It took me so much time to get to know them. What should I use instead of RxJS? All of these differences gave me the general intuition that Vue imposes much less on the developer. As someone with an Angular background, I find this a a bit daunting. Angular's conventions and ways of doing felt secure. They also facilitated working with other devs — because we all shared the same practices. How is it going to be with Vue? Does everyone have a different workflow? So what am I left with? Some stuff looks familiar, other stuff looks better (single-file components look quite slick after all), but there's also some stuff that I miss. And so I am looking for replacements. Take HTTP requests: two popular solutions I've seen are axios and vue-resource. Looks like a good substitue for HttpClient. The issue of routing has also been solved — there's no built-in Router in Vue, but vue-router is a standard plugin that's even suggested when creating a new project via Vue CLI. Now, what about state management? Angular has services and I've been lucky enough that, when data binding becomes insufficient, I could use services to store some shared state. Vue has no such concept of services, so what's left? 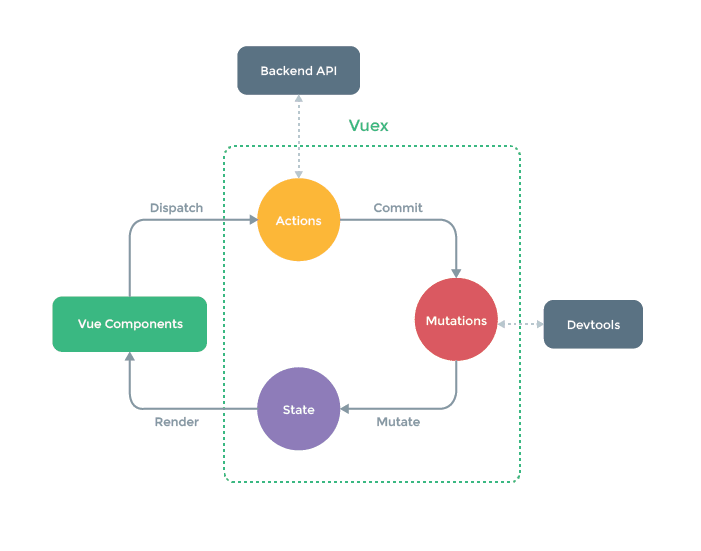 A popular option seems to be vuex, a Flux-inspired state management Vue plugin. I heard about state management before (although mostly through Redux — see Understanding Redux), so I'm interested to dig deeper and see how that turns out. I just hope it won't be too much of a burden. Lastly — RxJS and event streaming. That's probably the thing I like the most in Angular. Observables make working with streams of events so pleasant and maintainable. Well, I haven't found a substitute for that yet. My guess is — there won't be one. Actually, I suppose Vue won't get in my way and I could use RxJS, but there seems to be many built-in features already to ensure reactivity — which I also find quite exciting. We'll see! I used to feel very knowledgeable about Angular, yet Vue has got me back to the position of a beginner. It's not easy, and sure as hell feels uncomfortable. But — and this is a message to all striving beginners out there — experience also tells me that the journey will be worth it. Have you already been in this position? How have you coped with having to re-learn everything? I'd be happy to hear your thoughts! Really was so easy to change from Angular to Vue, just one week later I had the project perfectly working. And I think now I love much more Vue than Angular. The only thing I miss from angular are the Services to separate more the logic. Is it me or is Flux/Redux just a meme in the client-side world. It's so full of orchestration and files and plumbing. Bleh! I've been using mobx stores in all my clientside projects and people on the teams love it. It's very straight forward to use and require no plumbing. You don't even need that. setState is probably enough for at least 80% of all applications. Thanks for the insight! I’m honestly not 100% convinced by whether Vuex (or any state management library, for that matter) is necessary, but I’ll sure look into Mobx as a possible (more lightweight?) alternative. When I started with Vuex, it did seem like a lot of plumbing work, which I didn't like. After a bit of research, I found Nuxt.js. They advertise SSR, but have more things built in beyond SSR (which you aren't required to utilize when using Nuxt). They have a Vuex approach that greatly reduces the plumbing. Highly recommend looking into it. Nuxt for the win! It's very seldom that I create a Vue app without nuxt. So many nice benefits. Ah — I heard about Elm! I once looked at the source code of an Elm project and it gave me the chills 😂. Very different way of thinking indeed. That goes to my « To Explore » list ;) Thanks! There are a couple of plugins that can help you feel more "at home." vue-rx can help you with a more comfortable integration between Rxjs and Vue. vue-inject can provide you with a nice Depency Injection container thingy. I haven't use these, because I think vue is good enough, but they look like nice helpers. Tell you what I don't know why I would need Rxjs because in my 2 years with Vue I never felt to include something out of vue ecosystem. TBH I don't know what problems Rxjs solves. Recently also dipped my toes into Vue but it just couldn't drag me away from Angular, I really like Angulars opinionated nature. Not to say I don't see the value in Vue though. What I've settled on is learning both of them. Angular as my main framework, and Vue as my secondary. And I went for Vue instead of React because it has more similarities to Angular, so it wouldn't mess with my mental model as much. I’m interested though — what made you switch to Angular? I'm actually scare to use a framework that has many feature out of the box, 😅 i prefer the way of setup this and this, since vue has it i just use it. When it comes to rxjs i use vue-rx, or just use rxjs without vue-rx because actualy you can bind everything in vue. But yeah the one developer and another had their own workflow. Yes, and maybe even our own language and browser to go with it. Pump the hate breaks, Ankush. Lets just think about this for a second. What if we could be productive using the standard tools that the language provide us, and only use frameworks/libraries to enhance our productivity? Really?? I suppose sarcasm is not in your dictionary. In any case, can I advise you to stop going around and labeling things according to your first instinct? I don't see how you and I aren't saying the same things. Care to expand? This is what I get for making a joke thats only funny to me. So, apparently you're a totally chill and relaxed person. Cool. I clearly can't read the tone of your comments, so lets just leave it at that. I start learning Vue without any knowledge of any frontend framework. I feel that Vue is pretty easy. I understand Vue in few days. I learn from Vue TypeScript guide. vue-class-component is pretty handy for creating class-style component. PS. vue-cli can be used to create TypeScript project easily. Angular 2+ is a moloch, being integrated with TypeScript and RxJS can be nice if you need that kind of control over your data-flow, which comes handy if you build real-time applications. I'd still prefer Cycle.js over Angular if it's just for the TypeScript & Observables. It's much smaller and cleaner, but it has a much smaller eco-system. Vue is modern stuff for old school devs, I think. It feels like Angular 1 or Ember, but without all the cruft of views, routes, and controllers. I prefer React, because of its small API surface and minimal magic (a bit more than Cycle.js sadly), but its flexibility comes at the cost of the dev selecting the right third-party libraries. I never heard about Cycle.js, I’ll take a look. The issue of the ecosystem and community is real, and for that matter it looks like the world of Vue has been growing as fast as ever recently. Thanks for your insights!